Ratan Sharda is a free lance columnist, author and editor. He also translates books in Hindi and English. He has written ‘Secrets of RSS’ which is in second edition and biography of Prof. Rajendra Singh in Hindi. He has edited, designed and translated around 16 books on various subjects ranging from management to cookery. He is a keen political observer and appears on TV channels in various debates and discussions. 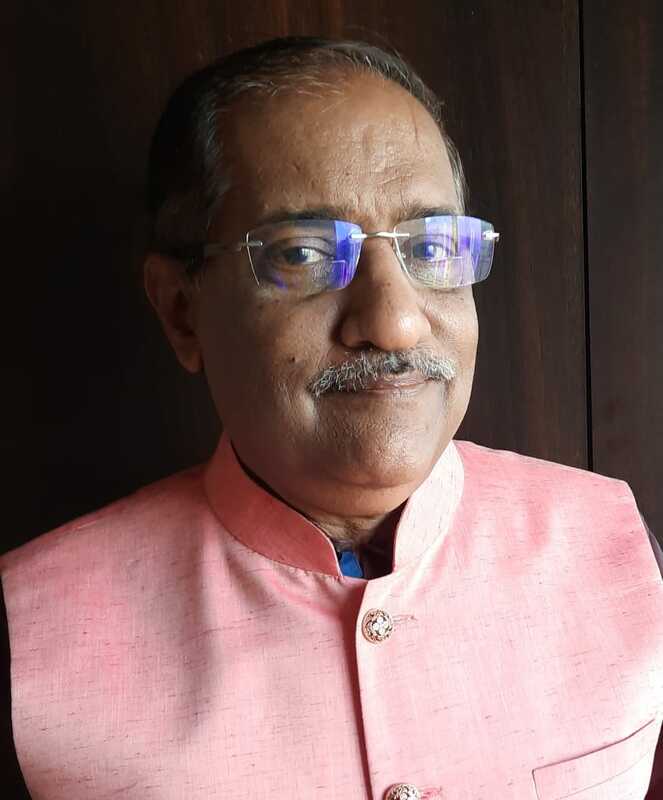 He is an ERP consultant by profession.
. One of the biggest frauds on the poor and middle class people of Bengal and surrounding states was done by Saradha Chit Fund scam which lured lakhs of investors to deposit money in its glossy schemes. An official estimate is about Rs. 1200 crore .. This latest attempt by MP Congress is nothing but continuing the legacy of their colonial masters faithfully who had first passed a law in December 1932 banning government employee’s participation in RSS activities. .. There was a huge outrage against Mallikarjun Kharge for saying, “Not even a dog of RSS people lost their lives in independence struggle”. I have named Rahul Gandhi because he is the President of Congress (I), and it is not an isolated incident. ..
We don’t lack laws, we lack implementation of laws. If strict laws could prevent crimes, there would have been no rapes after new strict law after Nirbhaya case. Police and its insensitivity haven’t changed. Sad fact is that people have faith in .. This 2018 budget is also dominated by steps that strengthen the hands of farmers, micro and small businesses. It seeks to provide strong base of healthy life with the biggest public health program. ..
On 29th August 2017 people were suffering the Monsoon Mayhem out in the open. But, those who were lucky enough to escape the floods reached home to suffer from Media Madness. This gave me a glimpse of what is wrong with news channels in India, particularly .. It is a strange coincident that today is the anniversary of disgraceful agitation by the Muslims on Azad Maidan, Mumbai 7 years back in 2012. The day we saw ‘frightened’ Muslims ‘upset’ with Rohingya Muslims getting a raw deal in Myanmar (remember, .. It is blood thirst of a Communist Party that worships Gods like Stalin, Lenin and Mao. Stalin is said to have noted, “Extreme hatred is the basis of our success.” ..
Has Modi government been true to Deendayal Upadhyay? PM Modi has imbibed economic and social philosophy of Pandit Deendayal Upadhyay who developed an economic policy for the then Jan Sangh, later adopted by Bharatiya Janata Party i.e. BJP. That policy penned in 1965 after a thorough study of two dominant ..
Will demonetization kill black money demon? Subhash Chandra autobiography carries the tagline “Wrong Man at Right Time”. But, after reading his life story, I think he has been the ‘Right Man at Wrong Time’ - ahead of the curve. .. The author tears into the false concept of nationalism as propagated by the west-oriented, secular, liberal writers like Romila Thapar, A G Noorani, Sadanand Menon..
Torch bearer of Hindutva, RSS proved its commitment through its epic and successful fight against emergency imposed by Congress party to impose one party. A member of RSS can never be a fascist because of his faith in all enveloping idea of ‘republic .. Manifesto is basically statement of intent. There is lot that needs to be read between the lines to understand the real intent. Leave aside hidden agenda, there is also matter of political will. Converting this intent into action requires strong .. There is sudden interest in Shri Golwalkar Guruji - the 2nd Sarsanghchaalak of Rashtriya Swayamsevak Sangh (RSS) and the longest serving one, after the high profile RSS programme in Delhi in September this year. ..
RIWATCH museum was a revelation! I had never expected a museum of such international standards, in design as well as in presentation. The rarely seen displays are fascinating. People from local areas, visitors from surrounding regions and Dalai ..
Prophet of Secular minorytism, Siddaramaiah, has shown us Hindus the light. By making Lingayats a minority religion he has told us that the best way to save ourselves from vagaries of politicians and excesses under Article 30 and 93rd Amendment .. The author takes a look at the problem of not only the Rohingya Muslims but also a host of other refugees groups and granting them refugee status in India through a humanitarian angle ..
RSS believes that India is one of the oldest living civilization and this nation as a cultural geographical entity has been a living entity since more than 5000 years, a view shared even by Western Indologists. .. The author has tried to analyse the idealist world of political power; a world in which we believe that people wield the real power through political and social activism. .. This Diwali has been an eye opener for me. On Diwali, we pray ‘tamaso maa jyotirgamaya’ – O Lord, lead me from darkness to light. And, by God, I have seen the light!.. this so-called ‘Right to Pray’ campaign is not about gender equality. It is a political ploy of irreligious people masquerading as secular reformers out to wreak Hindu traditions with the help of courts and gullible media that is lazy to do its .. The current political and ideological turmoil that we are witnessing today is the result of sustained ideological struggle for soul of Bharat i.e. India fought by RSS against the left that is sustained by Marxist philosophy. Capitalism is a purely ..
2014 Elections for a Swayamsevak.. It is clear that Congress is sure of its defeat. It is trying all the dirty tricks up its tattered sleeves to stop the march of Modi, observes Ratan Sharda﻿..
RSS Sarasanghachalak Dr Mohanrao Bhagwat released a book on former RSS chief, the late Prof Rajendra Singh alias Rajju Bhaiyya, at a function in suburban Vile Parle on March 1st, evening. ..
Secularism is being used as a detergent, to wash off all the sins of the political leaders that are ready to help the Sonia led Congress. Mulayam Singh, Mayavati, Lalu, DMK, Kalmadi are all the examples. Mulayam has openly confessed about CBI threat. ..
Let us not pre-judge Arvind Kejriwal. Let us not ‘coach’ him, let us not write him off; and nor hope to see him on the top in near future. It is a long drawn battle, so let us hope he creates his own political space in future, learning on way. Says ..